The biggest challenge any business has is to find new customers. This challenge is even larger when a business is new. The reason why is that you do not yet have a substantial network of client referrals or testimonials. Professional references validate your brand and business, and reduce the customer's perceived risk of hiring you. Without significant professional references, how does a new business or consultant earn clients? We all know the warm and fuzzy reasons for volunteering. Personally, I feel that we should all contribute in some way to improving some aspect of our world, globally or locally, without any expectation of getting something in return. However, smart business people know that in addition to the unselfish benefits, volunteering can be a valuable way to generate new leads and to promote their service offerings and professional brand. When you volunteer for an organization, you expand your contacts. You meet new people who could turn out to be customers, mentors, or referrals. Without having to make a cold call or hard sell, volunteering gives you an opportunity to develop relationships with new people. Then by expanding your network, you will have the opportunity to receive new leads for business. 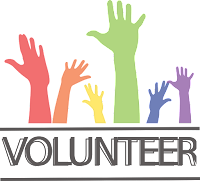 If you get involved with an event or organization through volunteering, there’s often media and promotions involved. You and your company name, logo and website address may be promoted in conjunction with the opportunity to a new audience of potential customers, and be a reinforcement among your existing customers. Favorable public relations for you and your business will enhance your brand with customers. Volunteering can give you a chance to focus on personal and professional growth. It could be an opportunity to develop new skills you can take to your customers. Additionally, the soft skills you will learn volunteering are likely to be highly desirable for your relationship to clients. Volunteer work can broaden your professional and personal life experiences. Unlike paid work, the requirements for volunteering are more likely to be linked to your passions and interests, rather than extensive work experience. The additional benefit of volunteering is that you can utilize these opportunities to grow your business and brand. Click HERE to contact me regarding this or any other blog topic. Also, I welcome your comments, which you can post below. great advice David. Two organizations I suggest are SCORE (score.org) and AARP's Tax Aide Program (https://www.aarp.org/money/taxes/aarp_taxaide/). Where does one begin in finding a volunteer role?